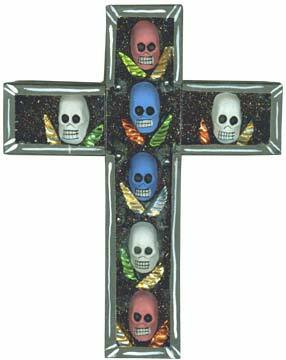 This is one of our larger crosses measuring 21x16.5 cm. Hand made and hand painted by craftsman in Mexico, we now do our own importing to provide you with the finest art from Mexico. Colors vary, no two crosses are same color.